Unlike some regions of the nation, the Northern Virginia area has no shortage of water resources and seasonal rainfall. So here, lawns actually make sense. It doesn’t require heroic acts of irrigation, fertilization and herbicide application to maintain a nice lawn. But what if you would like to create more variety in your landscape, to reduce or eliminate the need for mowing and other sorts of maintenance required by lawn grasses? We have some options for you. In a word: groundcovers. 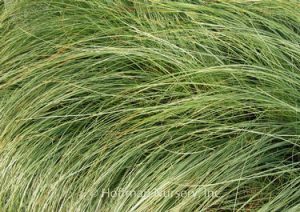 Sedges are grass-like plants that grow in clumps. Sedges come in many sizes, colors and textures, and do well in different kinds of soils and climate zones. If you prefer a “lawn-like” look, you can mow it a few times a year, or just let grow long for a more natural, meadow-like look. It is tough enough to handle occasional light foot traffic. 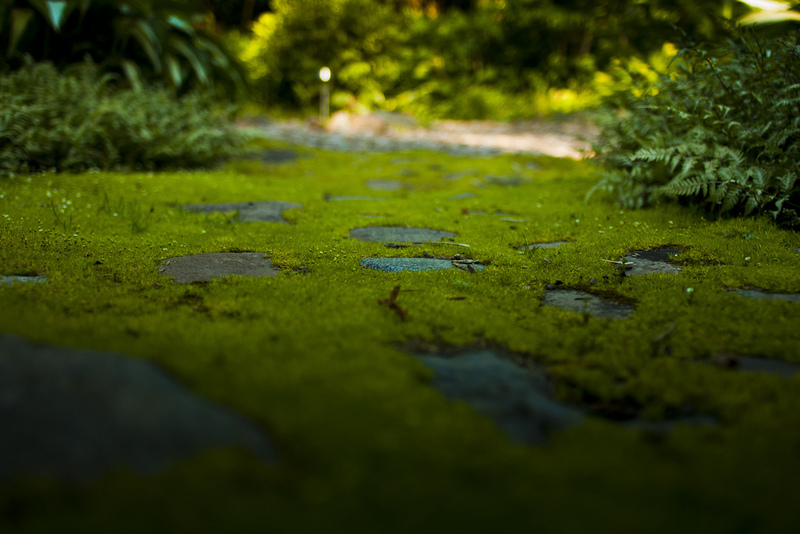 A moss lawn is perfect for moist, shady areas with acidic soil. Because moss grows low to the ground it never needs mowing. Once established, moss needs no fertilizer and little water. It is delicate, though, and will not tolerate heavy foot traffic. 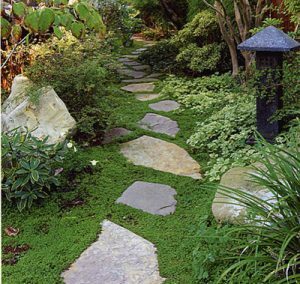 Moss looks beautiful as the setting for a flagstone walkway. Clover is tough. It thrives in full sun to partial shade and needs no fertilizer. It grows well in a wide range of soil types. Clover is also a bee-friendly garden plant. This evergreen ground cover is a perfect way to achieve a no-grass lawn. 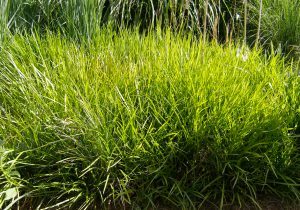 Regular mondo grass grows up to six inches tall. Dwarf mondo grass grows two inches tall—which means it never needs mowing. 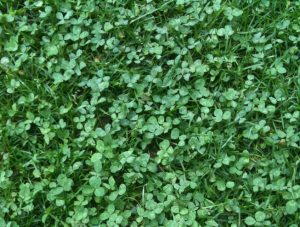 If you choose regular mondo grass, one mowing in late winter each year will keep it full and healthy. It stands up very well to foot traffic. 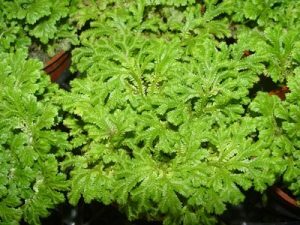 This evergreen ground cover features dark green strappy leaves. 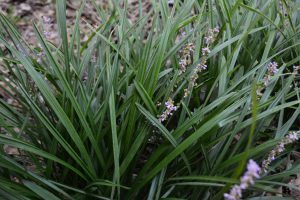 Similar in appearance to mondo grass, it has leaves that are just a bit wider and grows to a height of twelve inches tall. It tolerates a wide range of soil conditions and grows in sun to light shade. Although lilyturf is drought tolerant once established, it does best with some consistent irrigation. Lawn areas play a role in landscape design. Obviously, lawns provide play spaces for kids and pets, and they can serve as green corridors through landscapes. Aesthetically, lawns provide visual simplicity in a complex landscape, offering places for the eye to rest. struggle to survive such as areas in deep shade or on dry slopes. Once established, a mass of low maintenance, perennial ground cover delivers a simple, calming effect—just like a lawn but minus the need for maintenance. If you feel that vast, unnecessary expanses of lawn don’t contribute to the overall aesthetic of your landscape, speak with one of our certified horticulturalists. We’ll help you make a plan to replace some that lawn with diverse plantings that will bring added color, texture, and fragrance to your landscape.